Scientists have discovered a virus that can infect another virus i.e. viruses can catch colds, says study that redefines life itself. A virus is a microorganism. 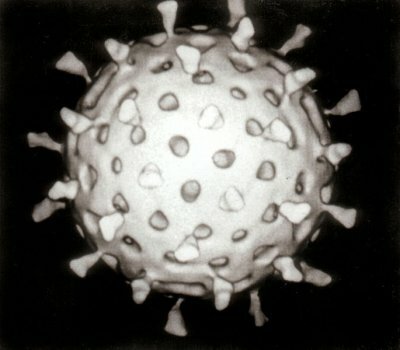 A virus is a small particle that can infect living organisms. Viruses do not belong to any of the six kingdoms. They are generally seen as being between living organisms and inanimate nature, rather than alive, since they do not show all characteristics of living organisms. Virus is biological agent which can cause common diseases such as common cold, influenza, chickenpox, diarrhea and cold sores. Serious diseases such as Ebola, AIDS, avian influenza etc. Now, scientists have discovered a virus that can infect another virus i.e. viruses can catch colds, says study that redefines life itself. There’s no doubt that this is a living organism. The fact that it can get sick makes it more alive. I’ve always wonder why feel no qualms about eating plants, yet get all touchy about animals. Because plants are inanimate and don’t have a nervous system? Nearly the same could be said about a fetus to a certain point. Also some of these vegetarians also feel no remorse eating fish.